Elizabeth Dossman, Licensed Professional Counselor, has spent the better part of her adulthood dedicating herself towards the self-improvement of others. Elizabeth graduated with a Master of Arts in Counseling from St. Edwards University and has practiced counseling for more than 10 years. She has experience at Downtown Austin Community Court, the Domestic Violence Hotline, Planned Parenthood and Integral Care. Elizabeth has created her own private practice in Westlake where she works with adults, adolescents, LPC-Interns and as a business consultant. Spending time with her wife and pooches outside fills her up as well as her love for Diet coke & queso! Laura coaches motivated professionals who wish to step into their full potential. Laura has been working with professionals for over 30 years in various roles as an accountant, consultant, business development, product manager and coach. Throughout Laura’s career her focus has always been on helping others live into their highest potential. Laura utilizes her years of experience across industry such as banking, security, electronic manufacturing and software, to meet her clients where they are in their professions. Engaging with professionals to be more of who they are and tapping into their potential. Laura believes when she impacts just one clients, she impacts everyone that client encounters. This inspires her to bring the best to every client and ensure a positive impact on our world. Laura has a BA in Accounting, and an MBA in Finance. She holds an Associate Certified Coach credential from the International Coaching Federation (ICF) and is a certified professional coach from inviteCHANGE. 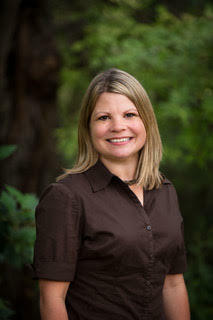 Laura is involved with her professional community as a volunteer ICF Austin Board Member. She provides pro-bono coaching through the ICF Austin Chapter community service. Laura is a New Jersey born transplant to Texas. Lisa Walker, Ph.D. is a psychologist, executive coach, speaker, relationship strategist, mediator and facilitator of difficult conversations. Dr. Walker coaches and advises leaders across industries. She works with leaders to gain clarity on their mission and goals, push through obstacles, enhance leadership skills, build positive work relationships and boost productivity. Her specialties include customized presentations and training program for developing strong leaders, building positive workplace relationships, personalized coaching plans to assist in determining and achieving goals, as well as customized support for corporate initiatives for maximizing success. Dr. Walker uses the power of emotional intelligence, neuroscience, and mindfulness to help leaders get better at what they do. Lisa earned her doctorate from the University of Texas at Austin and her Leadership &amp; Executive Coaching Certification from Columbia Business School. She served on the faculty of the University of Texas at Austin and is a Mentor for The IC² Institute, an interdisciplinary research unit at The University of Texas at Austin, which works to advance the theory and practice of entrepreneurial wealth creation. In 2010, Jen Shultz escaped the 9-5 and leapt into the world of entrepreneurship. Before then she spent years "job-hopping" trying to find her purpose in the world. Once on her own (and without a steady paycheck), she honed in on her natural, intuitive talents and strengths and started her first business, Teacher on the Go-teaching elementary aged students on her own terms, outside of the traditional classroom setting. Today, Jen is the founder of The Non-Nine- to-Five and mentors Non-Nine- to-Fivers how to stay with the business building process using exceptionally deep, rich, and "non-traditional" business building concepts and teachings, leading Non-Nine-to-Fivers to sustainable and successful business growth. Teresa is coach, speaker, and author specializing in resiliency, change, and loss. She partners with those who have been knocked down by life who want to build resiliency and move forward to a bold life. Teresa has been coaching and mentoring professionals for over 20 years in various roles as an IT software developer, team lead, manager, project manager, educator, mentor, and leader. Teresa brings to the coaching relationship many unique and challenging life experiences including career transitions, personal losses of first spouse and mother and forging resiliency. Primary Interest: Change happens in life and work. Building resiliency and learning steps for surviving and thriving amidst constant change sets apart great leaders and those who live boldly. Teresa has a BS in Computer Science and M. Ed.in Curriculum and Instruction - math and science. She holds the following certifications: Project Management Professional – PMP, Myers Brigs Type Indicator (MBTI) Qualified Practitioner, Coach U Graduate, and Now What Authorized Facilitator, and ICF Associate Certified Coach. Teresa is about giving back and service. She volunteers with International Coaching Federation (ICF) Austin Board Member – Community Outreach Director organizing pro-bono coaching to local non-profits and Women for Change Coaching Community (W4C3) coach - providing pro-bono coaching to women in poverty. Teresa and Bill live in Cedar Park, TX and are proud parents of three grown sons, Korey, Kurtis, and Sawyer. Erica is a professional development evangelist specializing in career coaching, resume writing, and recruiting consulting. Erica has a BS from the University of Texas at Austin and a MA from Lewis University with 10+ years' experience in recruiting and higher education. As a former Google recruiter, she knows what recruiters love AND hate. Erica has reviewed thousands of resumes; spoken with hundreds of recruiters on what works and doesn’t work; and, helped countless candidates get the response they deserve and find their dream jobs. She is passionate about continued education and loves sharing her recruiting secrets with other lifelong learners.